Russia promises to manufacture 1,000 PAK FA fighter jets by 2050 as part of a joint Russian-Indian program. According to the forecasts of Russia’s Centre for Analysis of World Arms Trade (CAWAT), the Prospective Airborne Complex of Frontline Aviation (PAK FA) production program will result in the manufacture of at least 1,000 fighter jets by 2050. Russia and India are the current partners in the PAK FA program. 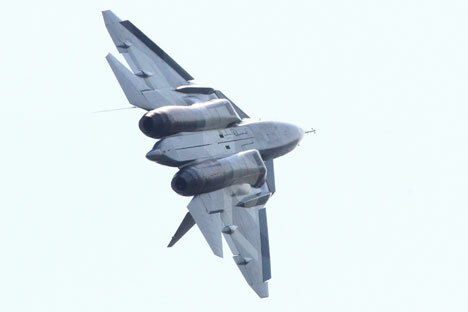 The Russian Air Force is expected to order between 200 and 250 units. High-ranking Indian military commanders have already said that their country anticipates ordering 250 jets. According to CAWAT experts, potential buyers of the PAK FA’s export version include Algeria (projected purchasing period: 2025-2030), Argentina (2035-2040), Brazil (2030-2035), Venezuela (2027-2032), Vietnam (2030-2035), Indonesia (2028-2032), Iran (subject to lifting of the arms embargo, 2035-2040), Kazakhstan (2025-2035), China (subject to certain conditions, 2025-2035), Malaysia (2035-2040), and Syria (2025-2030). CAWAT estimates that the possible order from these countries will total 274-388 units. Exports of the fifth-generation Russian-Indian fighter aircraft could go well beyond the geographical area represented above, in particular thanks to orders from CIS countries. Some Western European countries could also ultimately become purchasers of the PAK FA’s export version once it is adapted to meet their needs. According to CAWAT experts, the stated technical specifications of the new Russian fighter match those of the American F-22, today’s most advanced fighter aircraft whose mission is to ensure air supremacy. Colonel General Alexander Zelin, commander-in-chief of the Russian Air Force, recently announced that the first batch of fifth-generation fighters will go into commission in 2014–2015. Two prototypes are already undergoing flight-testing, and two more PAK FAs are scheduled for testing by the end of 2011, says the head of Russia’s United Aircraft Corporation.